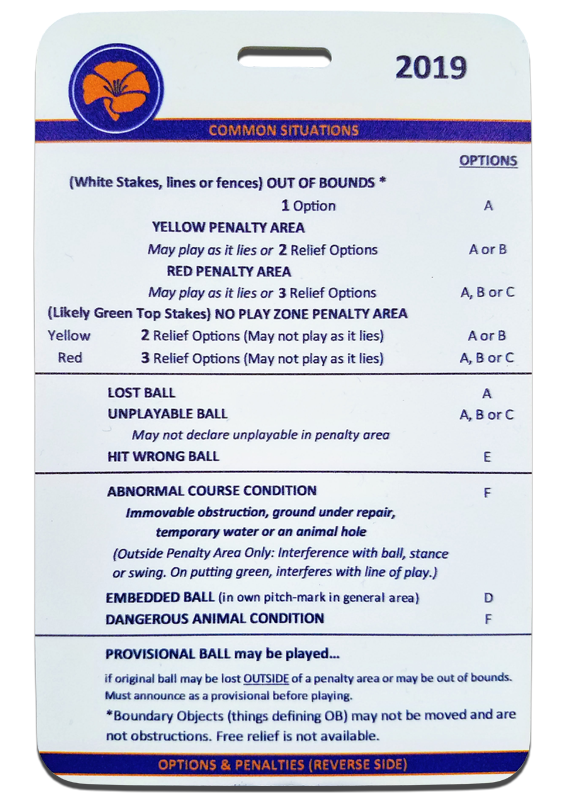 The NCGA Rules Bag Tag is a quick and easy reference to the most common Rules situation you’ll encounter on the golf course. Whenever you have quick questions you can turn straight to your bag and look up your options. Price is $5 each for 1-10 Bag Tags. Price is $3 each for 20 or more. $FREE shipping.